Newport (Salop) & District Male Voice Choir, based in Shropshire, was founded in 1943, so we have just celebrated our 75th anniversary. The choir has a proud tradition of singing to very good musical standards. In the past we have won many competitions, being crowned ‘English National Champions’ on two occasions, and in our touring days we sang in many differing and varied locations in the UK and abroad, including tours in Malta, USA, Hungary, Czech Republic and Slovenia. In 1997 we took the decision to become a concert choir, so we no longer sing competitively. Today we tend to sing in churches, church halls and community centres in the Shropshire area, singing a wide ranging repertoire which includes classics, folk, songs from the shows, and pop. We frequently perform with other choirs and are also comfortable performing in massed choirs at larger venues. In the past few years we have sung in massed choirs at Worcester Cathedral, Birmingham University Great Hall and Birmingham Town Hall. We sing a wide repertoire, have an active concert programme, and above all we have a friendly and purposeful spirit. We take our singing seriously, but make sure that it is also great fun! We practice at 7.30pm every Monday at Trinity Church, Wellington Road,Newport. Choir practices last for approximately two hours. Come along and hear us! Better still, come and join us! 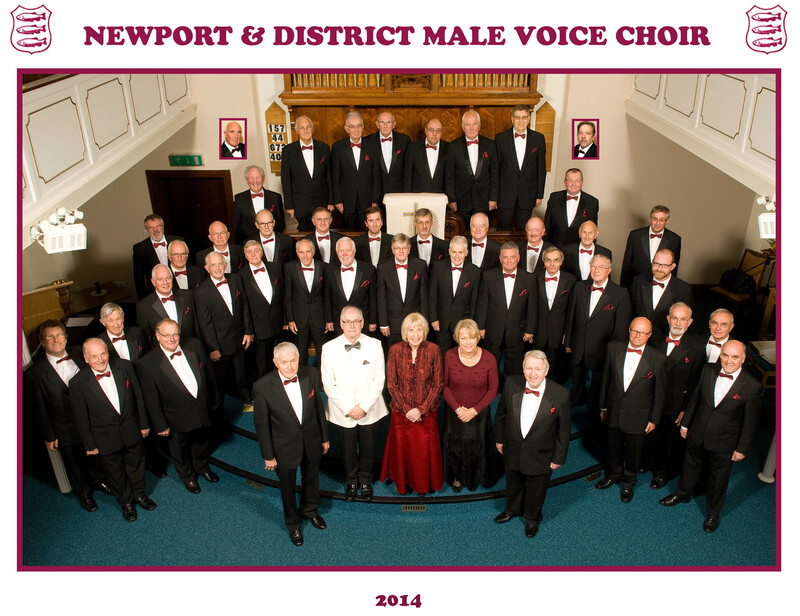 Newport (Salop) & District Male Voice Choir is a Registered Charity.